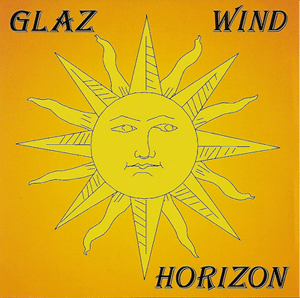 Glaz Wind was formed in 1980 by Basil Fitzpatrick when he and 3 friends decided to start their own group to play original music, which they did for 3 years. After High School the band went their seperate ways. Basil joined the US Army and while stationed at Ft. Benning, GA, he met Faye Baker (who later became Faye Fitzpatrick). Faye had and still has a beautiful unique voice and after hearing that, they decided to form a band with her brother Clyde Baker, a songwriter who plays Guitar and has a great voice as well (He also plays flute). Percussionist and drummer Durundo Jenkins (a songwriter who also sings and has a great voice) also joined the band. With this line up of extremely talented musicians Glaz Wind then came together and the same personnel are still here after almost 25 years! After a few years of playing together, they recorded their debut cd “Horizon” on Fitzpatrick’s newly formed independant label Artemis Records®. Releasing it in commerce in the public domain in 1994 accompanied by the video single “Seems To Be No Time” which they sold at gigs and put in stores on consignment, along with TV advertising, Newspaper articles on the band and music video. Meanwhile performing shows down south and around the US. 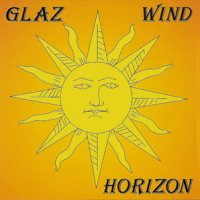 In 1996 they put up Glazwind.com the Artemis Records® Home Page where they sold their CD, cassettes and video single.They then promoted and published their music on the Internet. They were the first to be on the internet as Artemis Records®. Glaz Wind, The band is currently putting together their documentary movie titled “Artemis Records® Presents: Glaz Wind”. Included will be performances and interviews with the band.over the years as well as recent performances in L.A. Since the release of “Nothing and Nothing” the new video single from the band in 2009, Glaz Wind is looking to start recording their second CD later this year!